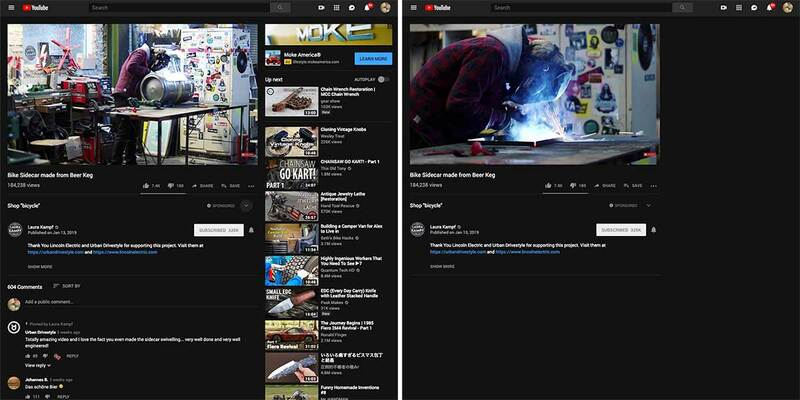 On the left is a screenshot of YouTube on Chrome. On the right is a screenshot of the same video with an extension called "Distraction Free for YouTube" activated. Below is a screenshot of the extension's options.